Puerto Rico’s Constitution gives the U.S. territory’s general obligation bondholders explicit and absolute priority over all other obligations and expenses of the Puerto Rican Government. The U.S. Congress affirmed this priority when it ratified the Puerto Rican Constitution, and reaffirmed it in 1961 when it approved the implementation of Puerto Rico’s constitutional debt limit. 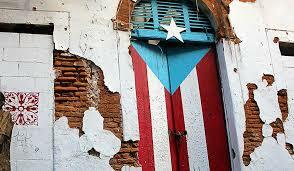 With these protections and priorities in place, investors purchased Puerto Rico’s bonds. But PROMESA’s unprecedented stay on litigation and the Oversight Board’s excessive power have the potential to completely remove all protections and priorities attached to these bonds. Not only has Congress never before established a stay on creditor litigation, but Speaker Ryan’s desire to strip bondholders’ legal rights gives the Oversight Board the ability to extend the stay past the February 2017 deadline at its own discretion. By allowing the Oversight Board to implement a cramdown and extend the stay, the bill would enable Puerto Rico to pay other expenses, such as government pensions, ahead of general obligation bonds and for that matter, any bonds, without any legal recourse to protect their investments. Under this scenario, taxpayers may ultimately be required to foot the bill since the Fifth Amendment guarantees that no “private property be taken for public use, without just compensation.” If a court rules that, in enacting PROMESA, Congress infringed upon bondholders’ private property rights and thus implemented a federal taking of their private property for public use then the taxpayers will wind up back on the hook for providing just compensation. The possibility of this taxpayer bailout scenario is strengthened by the fact that not only has Congress twice affirmed Puerto Rico’s constitutional debt hierarchy, and that there is precedent for successful claims when Congress changes rules in a manner that significantly disrupts investors reasonable investment-backed expectations, but also the Tucker Act also waives sovereign immunity with respect to takings claims. After that, PR will continue to spend, and we’ll continue to pay for it. We supported PR and bought their GO bonds for our retirement. We were not speculating for large gains and we did not buy them at discounted or distressed prices. The PR Constitution backed their GO bonds, as their first priority for payment, or we as retirees and many others would have not bought them. If they turn their backs on these financial commitments then they should be brought to justice, and those that perpetrated this fraud and misappropriation should pay the price of being brought to trial. We have not been paid interest in 1.5 years and expect that all back payments should be honored. We have patiently waited and desperately are hoping for justice. 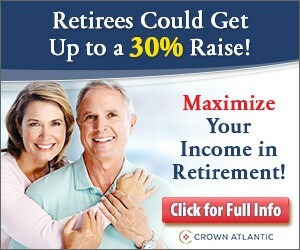 We are the thousands of retirees that worked hard all of our lives and trusted the advice of our advisors. Explain to me how PR keeps getting into this mess? Is it a welfare state like Chicago where all the skilled people headed for the mainland? It’s certainly becoming one. Over 1/3 of the entire workforce hold government jobs, which makes things worse. I would support help in back interest payments.